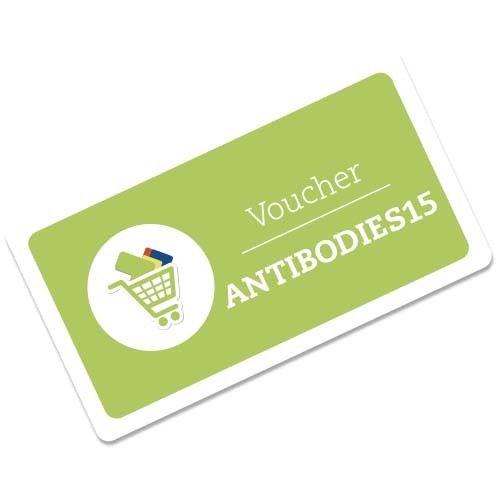 Our new MAbs and antigens allow detection of CRP in dogs and SAA in dogs, cats and horses. HyTest has been growing steadily throughout its 20 year history and 2014 was no exception. HyTest’s revenue grew to 16.3 million euros. Forum of American College of Veterinary Internal Medicine is held in Indianapolis in June 2015. You are welcome to visit our booth #230 on June 4-5. Limited time offer: save 15% on your first online order! HyTest participates the 6th Annual IVD Summit 2015 in Shenzhen, China on March 12-13, 2015 and also the 12th China Association of Clinical Laboratory Practice Expo held in Xiamen, Fujian, 18 – 20, March. Winner of the grand prize, $20,000 is Professor Paul Collinson from St. George’s, University of London and St. George’s Healthcare NHS Trust. Congratulations! HyTest participates in Medica exhibition in November 12th - 15th. 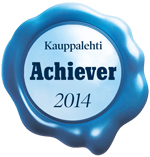 Companies receiving Achiever certification are stable businesses with solid growth, good financial results and profitability. During the first half of the year, HyTest’s consolidated sales were 7.8 million euros and year-on-year sales grew by 24%. Group operating profit also saw significant growth, reaching 3.4 million euros. HyTest participates in AACC 2014 Clinical Lab Expo Exhibition in Chicago on July 29-31. You are welcome to visit our booth #3631at any time. Our team is looking forward to see you there! HyTest will be present at ISACP 2014 Veterinary Conference. The ISACP will be held on 25-29 of June 2014 in Copenhagen, Denmark. 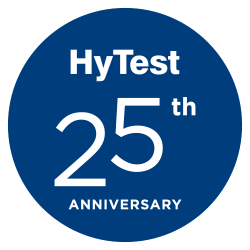 HyTest turns 20 and reaches a record level of operating profit. While the previous year’s growth figures were not achieved, sales grew steadily throughout the fiscal year. This March HyTest will be present at this year’s IVD summit and CACLP exhibition. The 11th CACLP exhibition will be held on 5-7 March in Hefei and the 5th IVD Summit will be held in Xiamen on 8-9 March. HyTest and Affinity Life Sciences (AFF) have signed a licensing agreement that allows AFF to develop and commercialize a research use only ELISA-kit based on HyTest’s proprietary SES-BNP™ technology. HyTest participates in Medica exhibition in November 20th - 23rd. Welcome to visit our booth D64 in hall three at any time. It's again time for AACC. This time Houston will be the place where the world of laboratory medicine will come together. Over the past half-year, HyTest consolidated sales amounted to EUR 6.3 million.